Drug Master File summarizes the essential elements pertaining to facilities, processing, manufacturing components, packaging and storage for products associated with pharmaceutical product development. 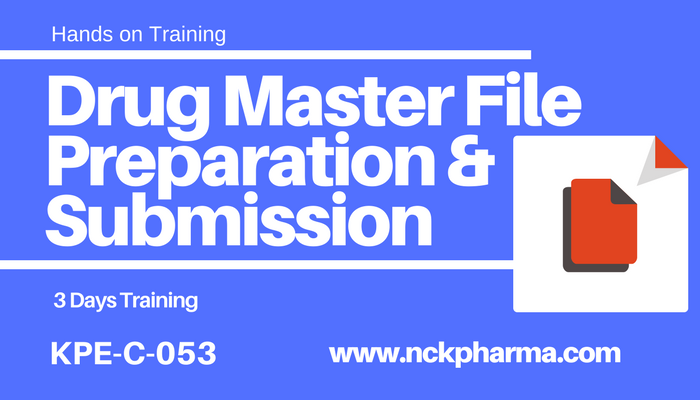 This online, self–paced course provided comprehensive understanding about the Drug Master Files – Classification, Guidelines and preparing effective documentation. Participant will be understanding different types of DMFs, and detailed understanding of each class. This course provides detailed understanding with all real life examples. Upon completion of the course, attendees will be able to begin developing or to improve upon their DMF file documentation. Introduction to DMFs – Classification. Explanation / understanding of each class of DMF. Certification: Certificate will be provided at the end of the course after completion of the final examination.